I was never really into fitness but I knew a lot about fitness thanks to my brother who is a gym-a-holic and is as fit as any 22 year old can get, yet hits the gym everyday like his life depends on it. 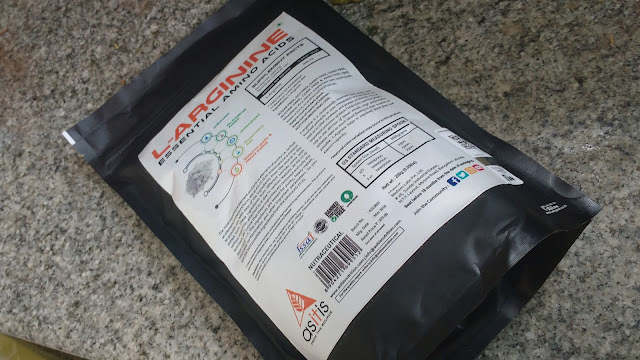 When I was approached to review AS-IT-IS Nutrition L-Arginine Powder I was a bit skeptical as muscle building wasn't anywhere on my fitness targets but my brother encouraged me to try it for the endurance part. L-Arginine supplement can help you run for longer periods without tiring. This supplement was mainly used by my brother and here is a detailed review from him. 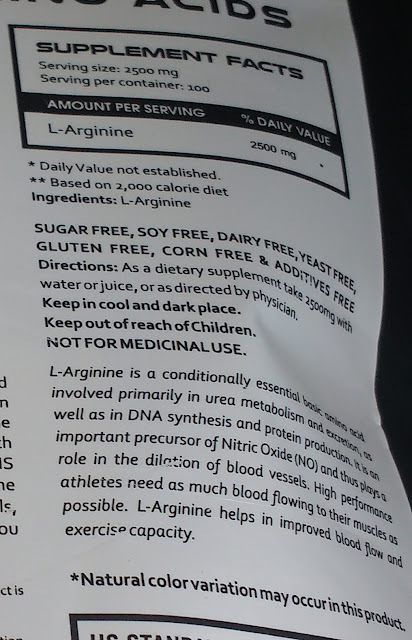 L-arginine is a semi-essential amino acid which helps body produce nitric oxide. Nitric oxide improves blood circulation and widens blood vessels which will increase blood flow to muscles improving workout performances. Foods rich in L-Arginine include soy, nuts, meat, grapes and raisins. If you are aiming for that sculpted 6 pack abs, quality L-Arginine Supplement is an essential addition for muscle growth and improved endurance. Boosts weight loss by promoting fat metabolism. Lowers risk of heart attacks and stroke. 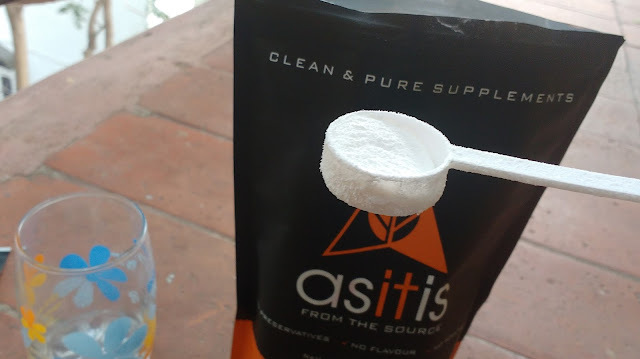 AS-IT-IS Nutrition L-Arginine Powder - Does it really help? L-Arginine is used by athletes and body builders for building muscle mass and burning fat. If you are someone trying to boost muscle growth for toned body , L-Arginine dietary supplement powder from AS-IT-IS nutrition can help you boost workout performance and strength. L-Arginine powder can also aid healthy weight loss for you by burning fat and increasing lean muscle mass. This supplement is also helpful for people with hypertension and high blood pressure when taken with L-Citrulline, but you need to consult your doctor before starting to take this. L-Arginine supplements come both in capsule and powder form. If you want a higher dose it is recommended to take it in powdered form atleast 30 minutes before you begin training. Even about 1-5 grams of L-arginine is enough to give you a surge of energy but I have to warn you about both the taste and smell. 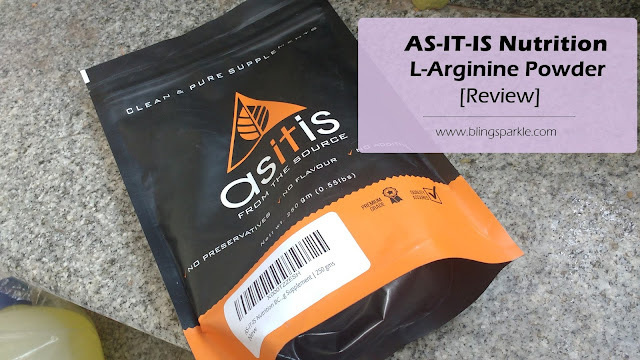 Since L-Arginine powder from AS-IT-IS is unflavoured and free of additives the scent is kind of unpleasant and the taste is strong and will definitely take time getting used to. 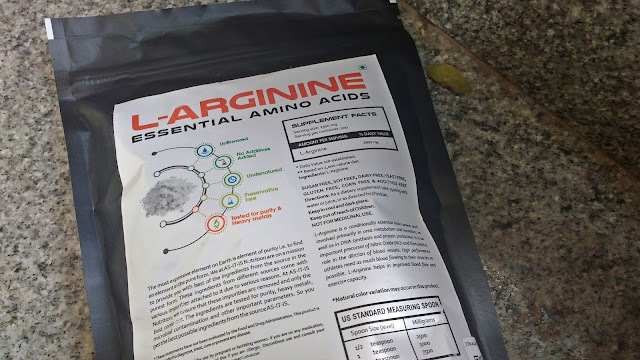 The benefits of L-Arginine are amazing and almost instant so the taste shouldnt matter much to you but you can try mixing it juices instead of water to mask the strong taste. Blackcurrant juice is probably the best option but you can try Tang juice also. 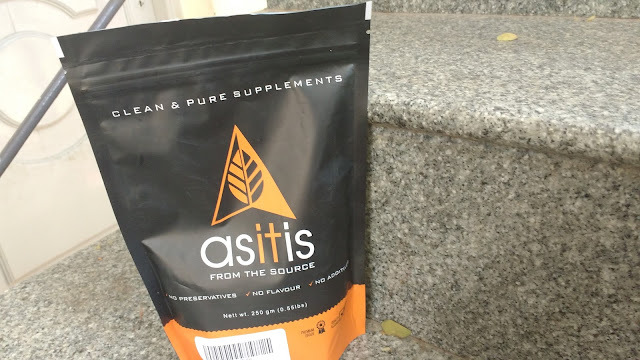 At AS-IT-IS Nutrition ingredients are tested for purity, heavy metals and microbial contamination, so you get supplements in best and purest form. All body building supplements from this brand are known for their high quality and are free of flavors, preservatives and additives. The products undergoes strict testing and is manufactured at GMP certified facilities. L-Arginine does not have any major side effects but when taken in high quantity like about 10grms or more it can cause low blood pressure, nausea and diarrhoea. If you are staring to use this supplemet for the first time then start off in small quantities and let your body adapt to it before increasing the dose. The taste as I have already mentioned is pretty awful so mixing this in something like juices is good idea instead of plain water. Dont get turned off by the taste because the benefits are totally worth it and you will notice the results yourselves in less than a week. Pregnant and lactating women should stay away from supplements or consult a physician before starting to have it. Since research has proved L-Arginine can lower blood pressure so if you have a history of low blood pressure it is best to stay away from this supplement. Apart from these people with kidney and heart disease also need to take advice from a registered medical practitioner before starting off on L-Arginine.